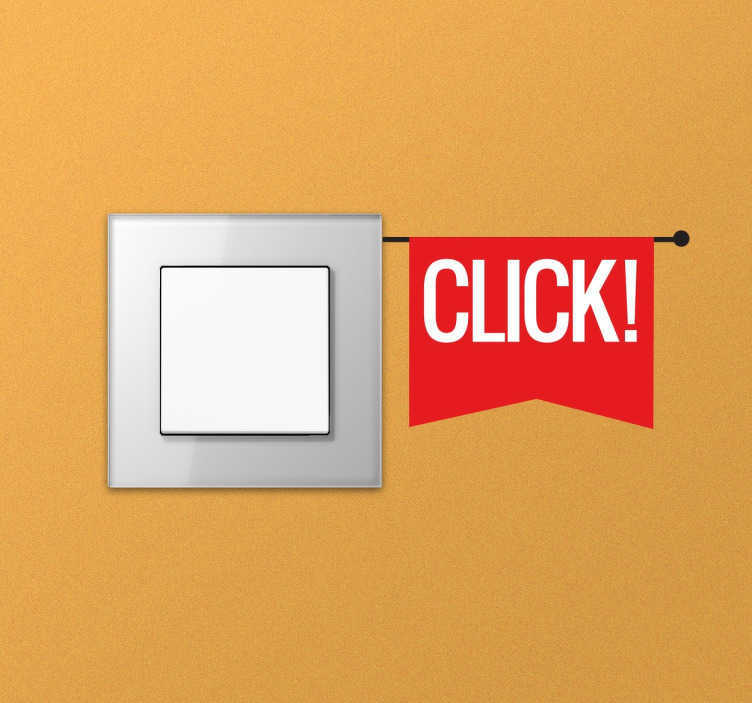 A fun sticker with the word 'click' on a little flag. Designed especially for decorating light switches or plug sockets. This decal is ideal to add a fun element to the decor of your room. It can also help you to remember to switch off your lights and plugs! Transform an otherwise dull and boring element such as a switch into something more exciting and eye-catching. Sizes indicated refer to the switch box itself. If you require other sizes email us at info@tenstickers-ireland.com. Easy to apply and remove without leaving any residue behind.